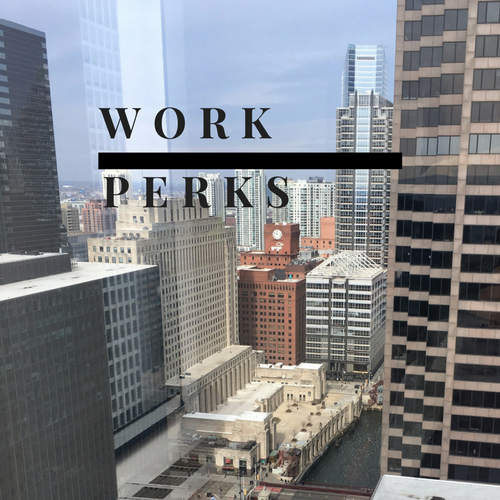 Work Perks: Unusual Benefits to Attract Talent | Challenger, Gray & Christmas, Inc.
“Comprehensive benefit packages help employers stay competitive in the job market. While the law does not require that companies provide retirement plans, health plans, dental or vision plans, life insurance plans, or paid vacation time, many firms still provide these benefits and many candidates have come to expect at least some of these benefits, especially as they progress to the higher management positions,” said Andrew Challenger, vice president of global outplacement and executive coaching firm Challenger, Gray & Christmas, Inc.
“Compounding the situation is that the new age cohort of workers, Millennials and Gen Z, are attracted by options that are considered untraditional, like student loan assistance, bring-your-pet-to-work days, and flexible work schedules,” said Challenger. Seventy-eight percent of companies are targeting Millennial recruits, while 56 percent are trying to recruit workers from Gen Z, according to a recent Challenger survey. With these types of benefits becoming standard across many industries, some companies have chosen to look to more unique work perks as a means of standing out to potential employees. Employees who have opportunities for professional development are more engaged at work. A 2016 Betterbuys.com survey of over 2,000 employees found that 92 percent of respondents believe professional development is “important” or “very important.” Those with opportunities to further education and development are 15 percent more engaged than those without these prospects. Offering opportunities to advance education or obtain certifications not only creates a culture that prioritizes meaningful work, and thus an engaged employee, but also improves the quality of a company’s workforce. According to a recent Challenger survey, nearly 73 percent of employers plan to offer student loan assistance as a recruitment tool. A 2015 American Student Assistance survey found 76 percent of respondents reported this benefit would be a deciding factor in accepting a position. While typically attractive to younger job seekers, older millennials are still struggling to pay student loan debt. The Federal Reserve recently found that students aged 30 to 39 hold $408.4 billion in student loan debt, for an average of over $30,000 per person. This benefit, while untraditional, could go a long way in attracting and retaining top talent. “Mentorships are a great benefit to employers. They go a long way in fostering an engaged workforce while being relatively low-cost, low-risk to the organization,” said Challenger. A Corporate Executive Board survey found 25 percent of companies offer peer-to-peer mentorship programs, up from 4 percent prior to the recession. These mentorship opportunities are not only helpful in the on-boarding process, but also help facilitate job success for both the mentor and the mentee. Likewise, internal networking programs connect workers leading to a more engaged workforce. Fragoman Worldwide, a global immigration service, offers a program that matches workers with colleagues in other countries for a 30-minute phone call. These kinds of programs allow workers to develop best workplace practices and learn from others’ successes, especially for those who want to move up the ladder or into a different department. Much like the summer break everyone looked forward to as children, sabbaticals are a time for employees to explore passions and travel before coming back to work refreshed. Generally, all, or at least part, of these vacations are paid, and they are offered every couple of years. Companies like Intel and Zillow use sabbaticals to reward long term employees. Workers at Zillow, for example, can take up to six weeks off after working at the company for six years, no matter what position they hold, according to a column by Masthead Media. These breaks give employees motivation to stay at a company for a longer time and are attractive to potential employees who have hopes of traveling in the future. Upon first glance, pet insurance seems like an unusual and possibly impractical work perk, but many companies are starting to adopt the benefit and employees are taking advantage of it. According to a NY Times article from this year, around 5,000 companies currently offer pet insurance. Pet owners consider their furry friends to be an extension of their family, and, therefore, are willing to spend a great deal of money on costly procedures to make sure their pets are feeling at their best. More and more people are turning to pet insurance, with the industry growing somewhere between 12 and 15 percent over the last two years, according to the same NY Times article. As this industry continues to grow and pet owners are able to determine which providers are legitimate, pet insurance may end up being a “must-have” benefit for some employees. According to Gallup, 43 percent of workers work from home at least some of the time in 2016. Flex schedules are becoming much more common in the workplace. According to a study by Gartner reported on by HRDIVE, 40 percent of employers are offering flex scheduling in the form of “Summer Fridays” this year. “Summer Fridays” allow employees to leave work early on Fridays, and, in some cases, not work on Fridays at all. Allowing employees to leave early or work from home gives them flexibility and helps to improve on their work-life balance. With 35 percent of people saying that they would consider switching jobs for a job that allowed them to work remotely, according to Gallup, companies need to consider incorporating more flexibility into their scheduling as a way to retain and attract top-level employees. While offering or reimbursing employees for gym memberships has been a staple benefit at many companies, this perk is still appreciated by potential talent. Other wellness incentives could be paying the registration for 5K or 10K for races or creating Fitbit competitions for employees with a gift card or free lunch for winners. The investment in these programs keeps employees healthy and productive and promotes an active culture. “The most important thing to keep in mind when it comes to figuring out what kind of unique perks will work best for the employees in your company are the values and milestones that they currently have. If you hire more new grads, consider offering help with financial planning, discounts for local events, or mentorship programs. Older hires may be more interested in retirement planning benefits and help paying for their children’s college tuition,” said Challenger.